It's WarGames season and I, for one, am glad that NXT has decided to turn this into an annual tradition. This Sunday (Manila time), we'll get to see the second WarGames match in NXT history, with the format being modified from last year's, where three teams of three went up against each other. I actually don't mind it being a four-on-four match, but the bigger story here is how the WarGames match is being set up as The Undisputed ERA's specialty match. Last year, The Undisputed ERA defeated SAnitY and the makeshift team of Roderick Strong and AOP. This year, they're up against another makeshift babyface team in Pete Dunne, Ricochet, and War Raiders. Make no mistake, this year's WarGames match is totally closing the show. And it's going to be headlining a show that only has four matches. As much as I love these multi-man matches that come around during Thanksgiving season, I'm not particularly fond of the overused trope for babyface teams. More often than not, the good guys are a ragtag group of misfits that have a common goal, but also have tension within themselves. Yes, that makes for a compelling story because the story offshoots into how these heroes coexist with one another despite the potential for in-fighting. But why can't the babyface teams just be united with a common goal? I'm reminded of Team Austin from Survivor Series 2003, which had Shawn Michaels, The Dudley Boyz, Rob Van Dam, and Booker T generally getting along in the name of preventing Eric Bischoff from having sole control of RAW. It's because of this tension between the babyface team members that I'm expecting The Undisputed ERA to win their second straight WarGames match. Cole, Fish, O'Reilly, and Strong are the ones who are on the same page. Plus, all four of these guys have been inside WarGames before so they're better-equipped to take advantage of what they'd learned from last year's match. I don't see Ricochet, Dunne, and War Raiders as the squad that ultimately takes down The Undisputed ERA. 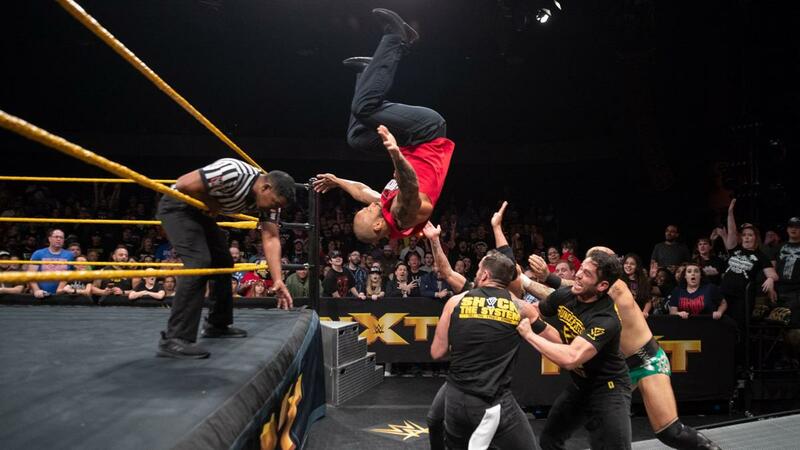 In fact, I'll call that this loss will just reignite the feud between Ricochet and Pete Dunne while keeping the War Raiders on the chase for the NXT Tag Team Championships. It feels somewhat refreshing to see Tommaso Ciampa in a normal singles match at a TakeOver—his first since coming back from injury, to be exact. It's been equally refreshing watching Velveteen Dream turn into a babyface before our very eyes. He's always had the crowd support. But now, he found himself a story and an opponent that could make him look like someone the NXT Universe can truly get behind. What I want to see in this match is how Ciampa can make the larger Dream look sympathetic. I can see Ciampa getting all wily and underhanded—despite the normal match rules—to weaken Dream. We're getting a reverse David vs. Goliath situation here since the babyface is a much bigger dude than the heel is, so that should be something fun for both Superstars to play off of. I hate that the NXT Championship match is going to be a sleeper pick for show-stealing match of the night, but with WarGames on the card, as well as the next match I'm about to get into, you can see why it's not the match on the card that's top of mind. All that said, Ciampa is retaining his title here. 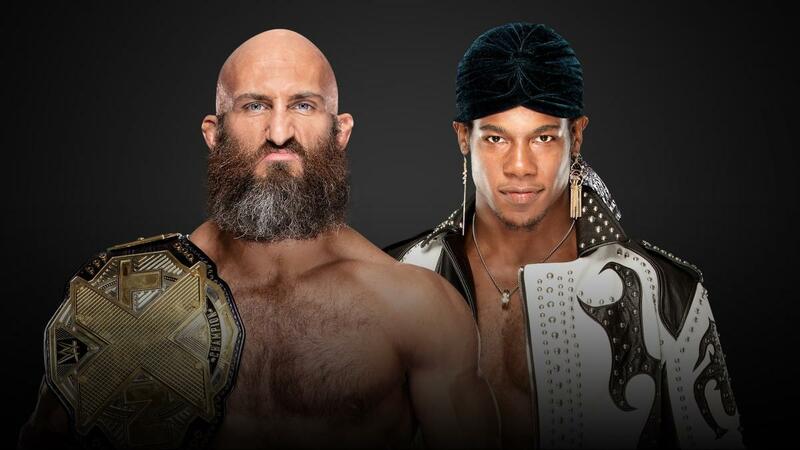 I think Velveteen Dream is eventually going to get his shot with the NXT Championship, but not now—not with the rumored endgame being Ciampa vs. Gargano for the title by WrestleMania season next year. Johnny Five-Stars finally goes head-to-head with Aleister Black, following the former's heel turn a few weeks ago. While Johnny's actions towards Black have been clearly dickish, I can see an argument for him being one of the few characters that are in the gray area. The problem with this argument, though, is that Gargano is blinded by his belief in himself as still being the good guy. It's been said over and over again that the best heels are those that truly believe that they're still the heroes in the story. Johnny Gargano spelled it out himself on NXT. He thinks he's still the good guy, but he's also acknowledging how much he's enjoying the darkness. This is why I'm really stoked for this match. I trust Gargano and Black to put on a performance that everybody will be talking about after the show. 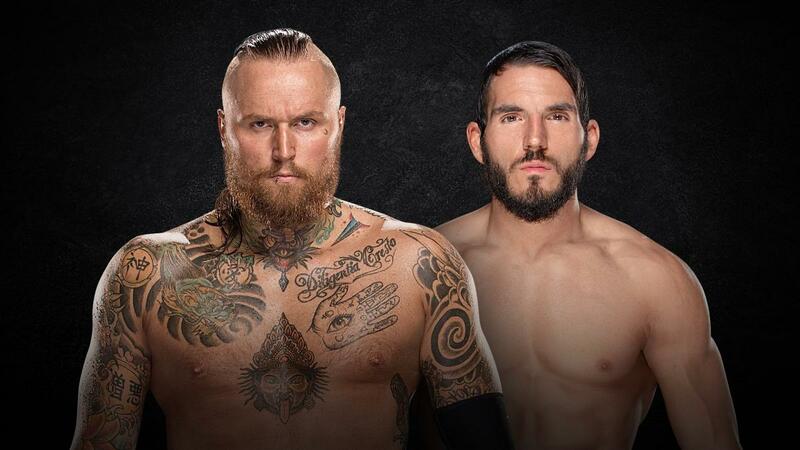 This is going to be a slobber-knocker because Aleister Black is livid at Gargano for taking him out right before SummerSlam weekend. Meanwhile, heel Gargano comes across as calculating and unpredictable, which is different from the plucky, emotional underdog we've all come to know and love. I'm not familiar with Gargano's work outside of NXT, so this is the first time I'm seeing him as a heel—and a dangerous one, at that. While it's weird imagining Gargano and Ciampa on the same alignment once again, I look forward to the possibility of them teaming up and forming a bizarro #DIY. But for now, I think Aleister Black is taking this one. He deserves to get his revenge, along with his NXT title rematch, which he never got, thanks to the Gargano attack. I feel really sad that this match hasn't been getting a lot of hype on the recent episodes of NXT. We haven't really had a lot of confrontations since Evolution, probably because the last three episodes of NXT were taped after the all-women's PPV. That's been detrimental to this story because Kairi could have used the sympathy from the fans heading into NXT TakeOver: WarGames II. On top of that, it would have helped seeing more of Jessamyn Duke and Marina Shafir since they've effectively been introduced into NXT canon thanks to their interference at Evolution. The hope is that Kairi and Shayna get enough time to have a fleshed-out match, which should be the case given the stipulation involved. I'll expect Duke and Shafir to get involved once again, maybe towards the end, to seal the deal for the Queen of Spades. I don't mind seeing Baszler ultimately win this rivalry (for now) because I think she can do more with the potential challengers for her title. Bianca Belair's been gaining momentum as a future contender, and she can be what Velveteen Dream has been to Tommaso Ciampa in terms of challengers who used to be a heel. There's also Candice LeRae, who could look great as an underdog against Baszler. It helps that Baszler has Duke and Shafir with her to really draw heat as a champion that fans would want to see get dethroned. As much as I love Kairi Sane, I think she's done what she can as NXT Women's Champion. In the words of Ariana Grande, thank u, next. Kyle O'Reilly vs. Hanson for the WarGames advantage was a great main event this week. I always get a kick out of seeing O'Reilly on my screen, whether he's playing air guitar with his championship title, displaying his technical wizardry in the ring, or hitting his opponent with those hard kicks. It was a great tease of what's to come this Sunday (Manila time), especially with the all-out brawl involving both men's respective teammates to close the match. Can we just fast forward to Sunday, please? I don't really get where Lacey Evans' character is going. She looks like she's being primed for a run as a championship contender, but she hasn't really been facing established stars the way Bianca Belair has in Nikki Cross and Mia Yim. It's clear that Belair is a Women's Champion in the making. Lacey Evans could very well be one, too, but in terms of story, I don't see where she fits—particularly if Baszler ends up retaining the title this Sunday. We're getting Matt Riddle vs. Kassius Ohno next week, and that should be worth getting excited about! That crowd in Los Angeles is pretty spoiled considering all the matches they'll be getting from NXT alone. What do you think about these predictions for NXT TakeOver: WarGames II? Who do you think is coming out on top? Leave a comment below and call your shot before this Sunday! Stan Sy (@_StanSy) is the Editor at Large of Smark Henry and is also a radio DJ on Wave 89.1, an events host, a freelance writer, and one of the hosts of The Smark Gilas-Pilipinas Podcast. He also used to be one of the hosts and writers of The Wrestling Gods on FOX. He enjoys watching WWE, NXT, Lucha Underground, and the occasional New Japan match. You can ask him questions about wrestling, Survivor (yes, the reality show), or whatever you like on his CuriousCat account.